A side view of Beaverbrook Hotel and Spa. Gina Baksa enjoys an extraordinary health and wellness weekend at Beaverbrook Country House and Coach House Spa. As a journalist constantly on the go, a relaxing spa weekend is often on my radar, but never quite becomes reality. 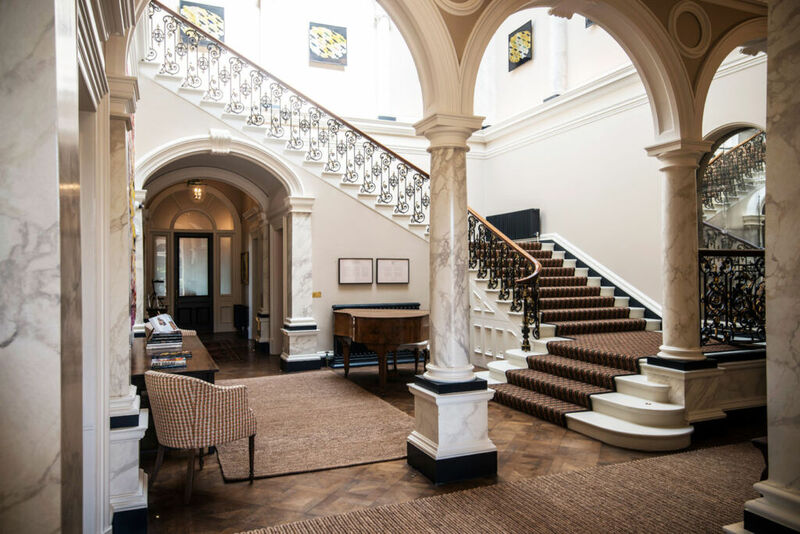 Today, though, I’m ignoring the voice that says: ‘stop at your peril’ and heading out of London for a two-day wellness retreat at Beaverbrook. 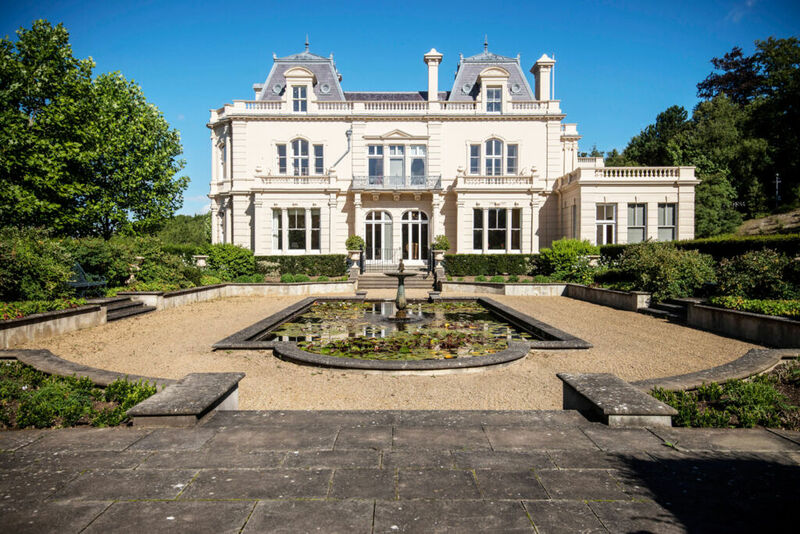 Formerly the home of newspaper magnate and politician Lord Max Beaverbrook, the estate named after him is a quintessential grand British country house hotel and spa, nestled among 470 acres of rolling Surrey countryside. The perfect spot to enjoy holistic treatments at the newly opened Coach House Spa, kick back and do absolutely nothing. 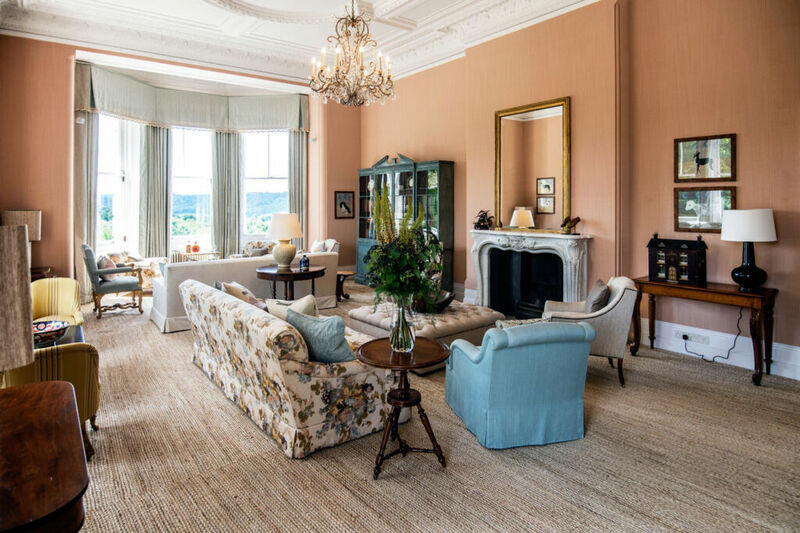 Beaverbrook first opened in 2016 with the 11-bedroom Garden house replete with an impressive Anglo-Italian restaurant, and interiors by Nicola Harding. There’s a fab cookery school here too. The main House with 18 exquisite rooms and suites is a showcase for the design flair of Susie Atkinson (Soho House) which combines antiques and contemporary touches – and is also home to the Japanese restaurant helmed by ex-Nobu Head Chef Taiji Maruyama. 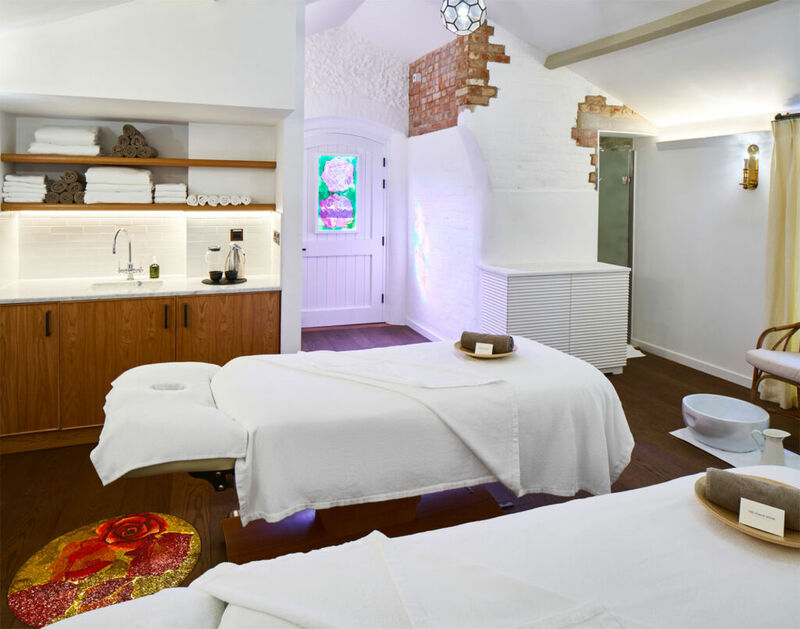 The last phase of the development – The Coach House Spa – had its soft opening last year – and I can’t wait to receive its holistic largesse. On arrival, my car and luggage are swiftly despatched by dashing Mark (in cricket whites and cap) and I meet Coach House Spa Director René Van Eyssen (ex-Connaught) in the Spa Boutique. René has a wealth of experience in the luxury spa business, and is a passionate advocate of using only natural and organic products. She also has a beautifully serene and calm presence. The range of artisanal brands on display (and used in treatments) at The Coach House include honey and propolis-based products from Therapi, and flower and herb-based aromatic oils from AS Apothecary based in Sussex. As well as The Coach House’s own range of beautiful massage oils. “We have camomile and Juniper berry oil, which has a calming effect, and peppermint and lime which is a more invigorating blend,” René tells me. “Our philosophy is all about embracing the healing power of nature.” Indeed, Head Gardener Elliott Beveridge has collaborated with some of the artisanal producers to create these special oils. 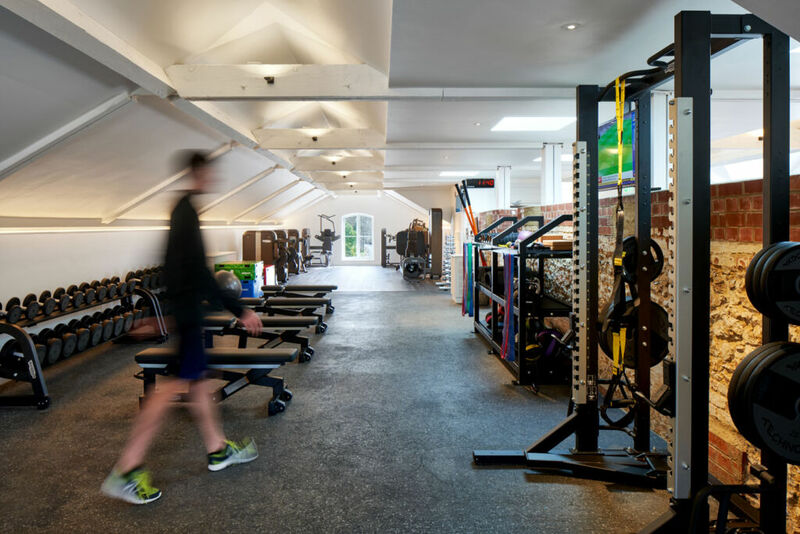 Beaverbrook’s guests can luxuriate in the sauna, steam and jacuzzi before treatments – or sweat it out in the well-equipped gym. I’ve opted for a meditation session. René leads a few of us in quiet contemplation in the Studio. A beautiful way to connect with Source and stillness, I’m reminded of the power of breathwork and how the practice changes my emotional state in seconds. So many luxury spas are focused on flogging expensive and harmful products and don’t focus on stillness. On our inner being. On connecting with the beat of our own heart. Thankfully stillness is a priority at Beaverbrook. Suitably relaxed, I’m led by my therapist Anita into the main spa for my British Bath Ritual. Colourful mosaic tiles and stained glass windows and skylights by Brian Clarke create a calm and welcoming ambiance. She bathes my feet in Epsom Salts and Outback Organic Gel Wash with tea tree oil, before we head to the egg-shaped Hamman room. It looks and feels like a space ship. Warmly cocooned in this extraordinary space, the experience is out of this world. I’ve had Hammans in Morocco and the Middle East, but this Brit version caps the lot. I’m gently scrubbed down with AS Apothecary’s organic black soap and enveloped in their cleansing organic clay mask. The feeling is divine: relaxing yet invigorating. I can feel the toxins being expunged from my body. Post-cleanse soothing is with Beaverbrook’s own Calming Oil with Camomile and Juniper Berry. A word of advice: drink plenty of water after your British Bath Ritual. Feeling peckish after the deep cleansing, I enjoy a light lunch at The Coach House Deli (try the delicious wood-oven pizzas) next to the Spa. Again, the décor here is warm and inviting and for sunnier days there are tables outside on a private terrace. The food and relaxation (my body has gone into shock!) are having a soporific effect and my suite in the main House is calling. Radiating a grand opulence with the warmth of a family home, the grand reception area boasts a massive Gerhard Richter tapestry opposite the grand piano. I make my way up the sweeping staircase, its walls adorned with photos of illustrious visitors and images of Spitfires. Beaverbrook funded development of the iconic aircraft during WW2.